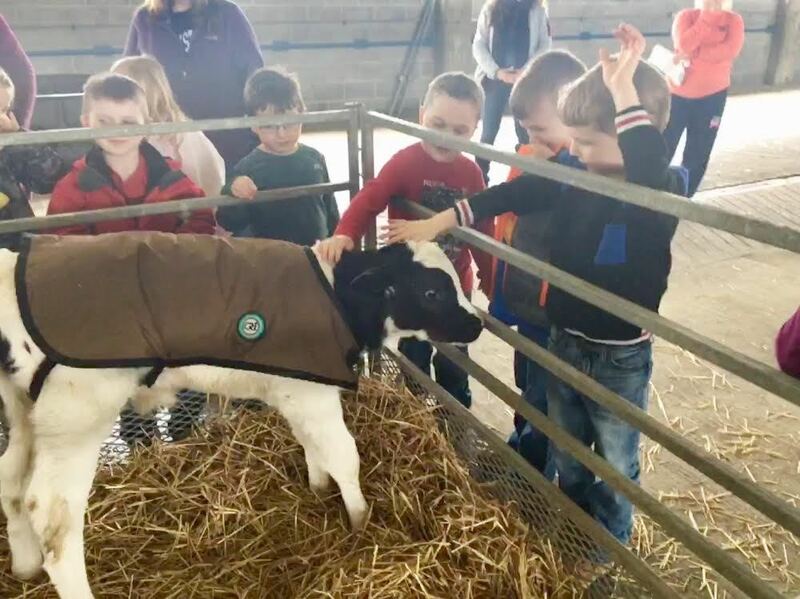 A kindergarten class at Mountaintop Area Elementary School got a chance on April 12 to learn a little more about farm animals and just where dairy products come from. Students in Jenn Murray’s class stopped by the Penn State Agriculture Arena and farm area, and got to meet Fancy, a 4-year-old Holstein cow who started producing milk when she was just 2-year-old. Weighing in at more than 1,000 pounds, the students said they never seen livestock of that size. The students also toured an area with sheep and lamb, saw how cows are milked by using a milking machine, and met a 150-pound calf named Lucy that tenderly nibbled on student Cody Swancer’s fingers. The students even met the newly-crowned Penn State Dairy Princess. Murray said this is the third year participating in this field trip that ties into the Animals Two by Two science unit she teaches in class.